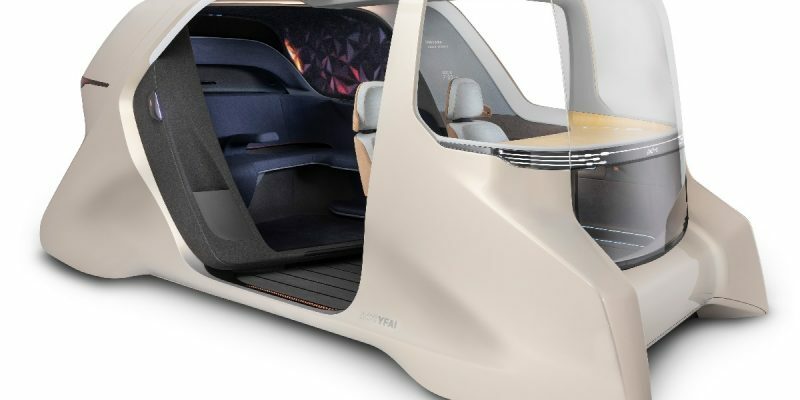 A Chinese auto interior specialist has unveiled its vision of a future driverless car cabin centered on providing two distinct passenger zones. The Yanfeng XiM20 interior claims to provide a bright, airy front section and a more cocoon-like rear, offering lounge seating and privacy. Controls for the interior environment are placed on “Smart Interior Surfaces (SIS) table located at the front of the demonstrator or can be accessed via a smartphone application”, according to a company statement. Passengers who want an observation outlook can choose the front area with an uninterrupted 180 degree view through a curved windshield. Here features include the smart table, in natural wood that is sterilized with UV light, storage that alerts the owners to their possessions when leaving the space and micro-zonal audio. In the back the space tries to mimic a cozy booth, with a soft fabric surrounding and focused infotainment, advanced climate and atmospheric lighting.